Post-doc research Starting December 2007, I am working as a post-doc research associate at the Department of Geophysics at the University of Chile. I am working with on a number of projects, using the WRF model to investigate rainfall patters in the Andes on multiple timescales. I am collaborating with Dr. Rene Garreaud and other members of the department in these projects. I successfully defended my dissertation at the University of Oklahoma! Entitled "Characteristics of tropical cyclones in the North Atlantic and East Pacific", I examined patterns of TC activity in relationship with leading modes of climate oscillation, from the intraseasonal to multidecadal. My parents came out to celebrate the graduation ceremony at OU. Visiting scientist and scholar From September 2006 to February 2007, I am visiting the Institute for Geophysics, Astrophysics, and Meteorology at the University of Graz. I teach one lecture course, Severe and Unusual Weather and Climate Events, and I also teach a seminar course on the same topic. Additionally, I am collaborating with Dr. Andreas Gobiet at the Wegener Center for Climate and Global Change on a climate project studying the Genoa cyclone. Click here to read my manuscript presented at the 1st International Conference on Climate Change and the Middle East, Istanbul Technical University, Turkey November 20-23, 2006. Click here to read the abstract submitted for my presentation in the 22nd International Conference on Interactive Information Processing Systems for Meteorology, Oceanography, and Hydrology. 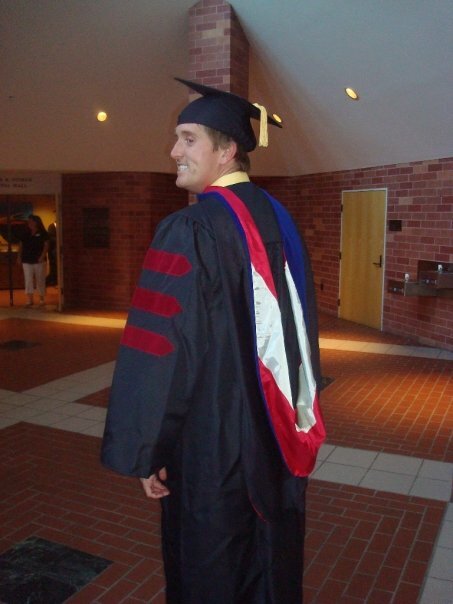 In August 2005, I embarked on a ten-month research tenure as a Fulbright Fellow. I visited the Caribbean Institute for Meteorology and Hydrology in Husbands, St. James, Barbados, under the mentorship of Drs. Colin Depradine and Horace Burton. During my time on Barbados, I simulated the passage of Hurricane Ivan (2004) through the southern Windward islands using the MM5 model. Visit my personal blog for highlights of my time in Barbados. PR set at the OKC Marathon! I ran a personal best 3:38:56 at the 5th Annual OKC Memorial Marathon. I am floored at such a fast time, especially considering (1) it was my fourth marathon in 2.5 yrs, (2) it was 50 mins faster than my first marathon in Chicago, and (3) it was 17 mins faster than my downhill Top of Utah performance! Click here to read the abstract submitted 30 July 2004, and click here to read the extended abstract. Master of Science degree in hand! I finished my degree requirements and received my MS in meteorology from the University of Oklahoma on Saturday May 8, 2004. My parents came to visit and hiked in the Wichita mountains. I passed the Ph.D. qualifying exam in September 2004 and am currently beginning research for my dissertation. 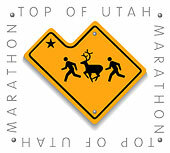 Top of Utah Marathon is complete! I ran a personal best 3:56:06 in the beautiful, downhill course. Here are some picture updates - both from the race and the weekend trip with Andy to northern Utah. Favorite quote: "Let's go to Idaho to have lunch!" 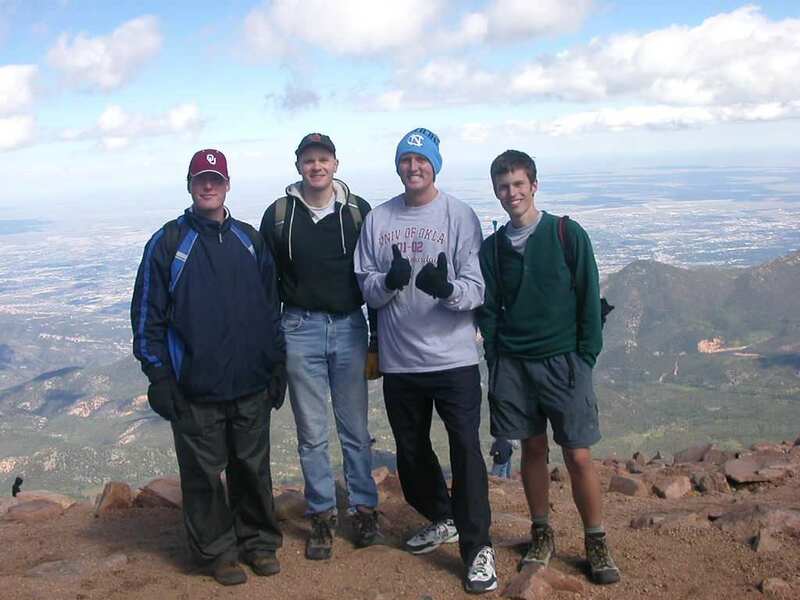 Destination: Pikes Peak Summit! Kevin Warren, Andy Taylor, and I departed Norman on Friday, 3 Sept 2004 on our way to Colorado Springs, CO. We camped at Black Mesa SP Fri. night, and arrived at the home of my UNC friend, Mike Johnson, Sat. afternoon. We departed for the 8-hr climb early Sun, started our hike at 6 a.m., and ascended the summit about 1:45 p.m. Click here for all of our pictures. Hurricane Season 2004 winds down after an incredibly active August and September. Four hurricanes made landfall in the U.S. (Charley, Frances, Ivan, and Jeanne) while Hurricane Alex and Tropical Storm Gaston brushed the N.C. coast. This was also a record year for tropical cyclone-spawned tornadoes, with indications of several hundred touchdowns. Follow the conclusion of the 2004 hurricane season with forecasters at the National Hurricane Center. ROTATE-2004 ends along with the joint OU/UMass field campaign. While severe activity was minimal in Oklahoma and Texas, both projects collected data on several days in the central plains. Record tornado droughts end in both Kansas and Oklahoma! After frustrating both scientists and storm chasers, Oklahoma's drought ended on March 4 (292 consecutive days without a tornado) and Kansas's drought ended March 27 (235 days without a tornado). 2003 Chicago Marathon I ran and finished the 2003 Chicago Marathon in 4:27:03, which is ~3 mins faster than last year. However, because of deployment with the DOWs to intercept Isabel (with the Center for Severe Weather Research research project), I didn't train as well as I should have. I cramped in both legs and ended up walking the final 5 miles. No regrets though; it was only motivation to run a 1:47:11 half-marathon in Oklahoma City on 25 Apr 2004! Hurricane Isabel impacts eastern U.S.
on Thursday 18 September 2003. Click here for the storm summary from the National Weather Service office in Morehead City, NC. Check out the post storm reports from NWS-Wakefield (VA) and NWS-Raleigh (NC). Also view images from the SMART-R mobile doppler radar deployments in down-east NC during Isabel. I am now a post-doc at the University of Chile. Please visit my homepage there http://www.dgf.uchile.cl/~bbarrett/index.shtml. Also you can click here to see who your fellow visitors to this site are.